If you scroll down to the end of my blog, you will see "Blogodacious Blogs" where I highlight my favorite blogs. There are some carryovers from last year My top 10 favorites for 2011 and some new ones this year. 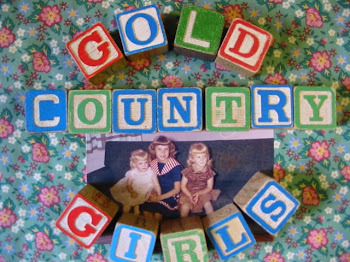 gold country girls - They made my list last year. Three sisters who live in the Sierra-Nevada foothills. They have a down-homey writing/posting style. Sweetheart of the Rodeo - Another mention from last year's list. Her interests are: "the old weird America", flickering neon, big hair, rural decay, victoriana, midcentury kitsch, freight trains, willow trees, pedal steel guitar. Vintage Passions Just Like Mine - the third carry-over from my 2011 list. A tarot-card reading missy with attitude. Crows Feet Chic - I like her motto, "The Best Thing About Being 50 is that you are in your own vintage photographs." Her Doughboy and Remy posts are few and far between but hilarious! Forgotten Bookmarks - a rare bookseller who posts images of the personal, funny, heartbreaking and weird items she finds in books. 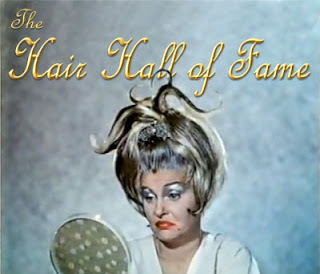 Helga Von Trollop - I didn't include Helga on last year's list and I should have, she is one of my continuing favorites. 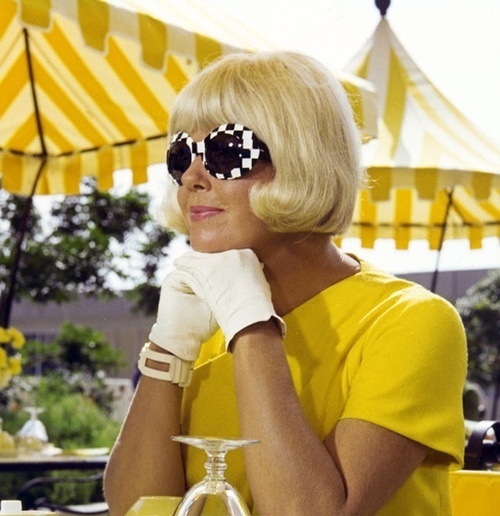 She is a color fashion maven and inspires me to be bold in my outfits. 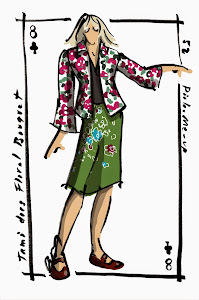 She describes her blog as Frocks in abundance. Music. Opshopping. Food. Cats. Movies. Sewing. Books. Hats. Some idiocy. 50s/60s/70s GLAMTASARAMA! 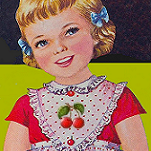 Sue Loves Cherries - A sweet blogger who hosts Rednesday - Wednesday blog posts dedicated to the color red. The Good The Bad The Worse - I found Linda through the We Work For Cheese June 2012 writing challenge. She has a great sense of humor and smooth writing style. We are a close family of three with varied interests. We dubbed ourselves CLAMCO (an anagram of our initials) as a fictional family business name. (C)hris makes Steampunk jewelry, modified Nerf guns and goggles. 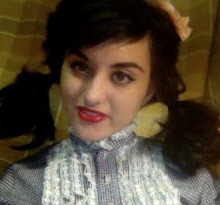 (L)orraine buys collectibles at estate sales and flea markets and sells them on Ebay. (A)nd (M)egan is a very talented young artist and published author. Our so-called (CO)mpany is in northeast PA but we plan to relocate south in 2013. We are aiming toward a more minimalist lifestyle where we collect memories and experiences instead of stuff. There you have it, my Top Ten, an eclectic mix of sass and frass. 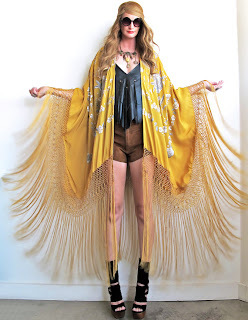 Hopping over to Mellow Yellow Monday to post all of my fashion pics in a YELLOW extravaganza! Lady Luck has smiled on me recently. I was a Christmas raffle winner from Interfaith Great Find's of this sweet pamper basket. The contents will provide birthday presents for both my mom and daughter. While the pricing at Interfaith hovers at near retail for certain items, framed prints literally go for a song. These two darling der Kinder prints will be re-framed and matted together as one. A 2013 present to me. The second set of prints I just couldn't resist - they are perfect for a baby's room. I know I will find a use for them. The calendar and spoon holder finished out the lot of finds, including a long skirt (not pictured), all for $7. Wishes for bargains and vintage delights in the New Year! Happy New Year!! Fun to check out new blogs! Happy New Year to you as well!! Yes, it's always fun to find new blogs!!! Thanks so much for including me in your top ten! I'm so flattered! I just have to say that I really enjoyed the countdown to Kitschmas pictures. They were a lot of fun! Have a wonderful new year and I can't wait to see what's ahead on your blog for 2013! Tami- you are all loaded into the post for my Grow Your Blog party - so you are all set! I will see you on January 19 at the party! Woo hoo *shakes pom poms* and Happy NY to you too! Happy New Year, Tami! Thanks so much for the shout out! You are such a doll! I'm hoping Nicky, et al. will do another WWFC writing challenge AND you will be part of it all! I simply must tell you that we three over at Gold Country Girls are truly honored to be included in your top ten! Thank you SO very much, from the bottoms of our little Gold Country hearts. Feliz Year Corazon! 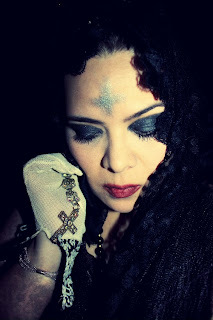 Gracias for including me again in your wonderful list!I am ever so honored. I love me some Helgita too!